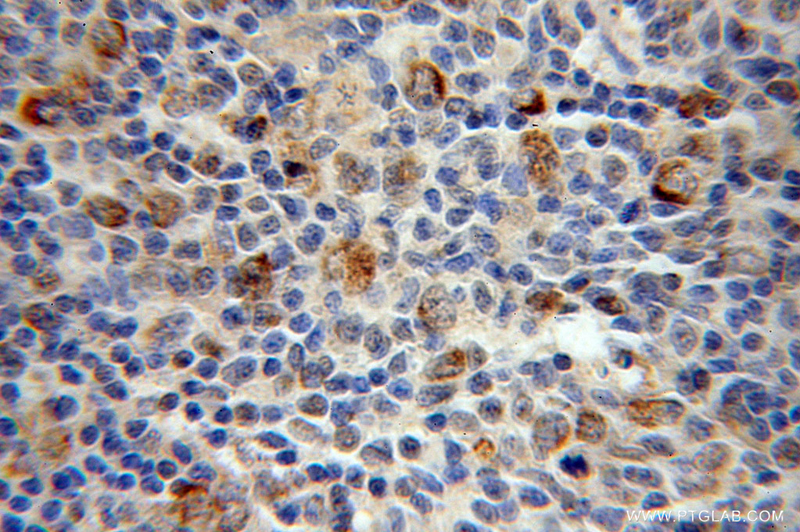 IP Result of anti-MEF2C (IP:10056-1-AP, 3ug; Detection:10056-1-AP 1:500) with SH-SY5Y cells lysate 2000ug. MEF2C belongs to the MEF2 family. 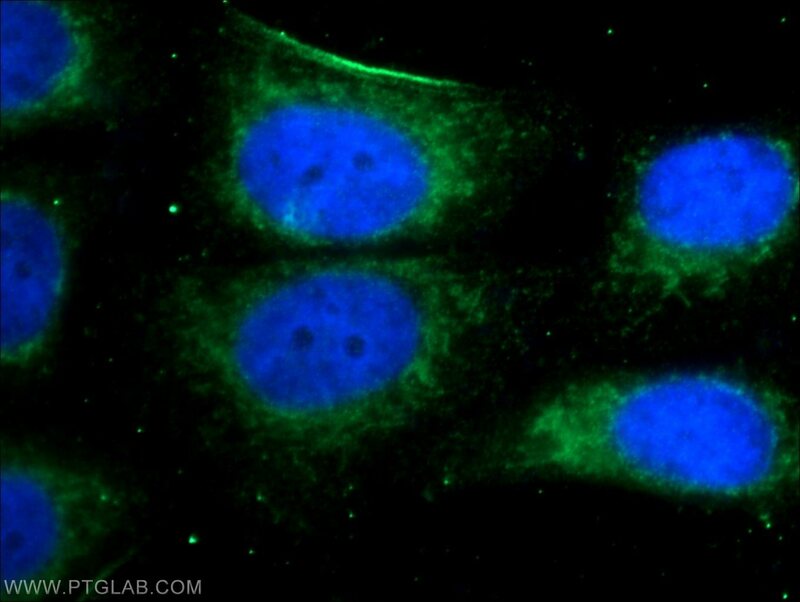 It is a transcription activator which binds specifically to the MEF2 element present in the regulatory regions of many muscle-specific genes. MEF2C controls cardiac morphogenesis and myogenesis, and is also involved in vascular development[PMID: 20221419]. It plays an essential role in hippocampal-dependent learning and memory by suppressing the number of excitatory synapses and thus regulating basal and evoked synaptic transmission[PMID:18599438]. It is crucial for normal neuronal development, distribution, and electrical activity in the neocortex and is necessary for proper development of megakaryocytes and platelets and for bone marrow B lymphopoiesis[PMID: 21666133]. This protein is required for B-cell survival and proliferation in response to BCR stimulation, efficient IgG1 antibody responses to T-cell-dependent antigens and for normal induction of germinal center B cells. It may also be involved in neurogenesis and in the development of cortical architecture. 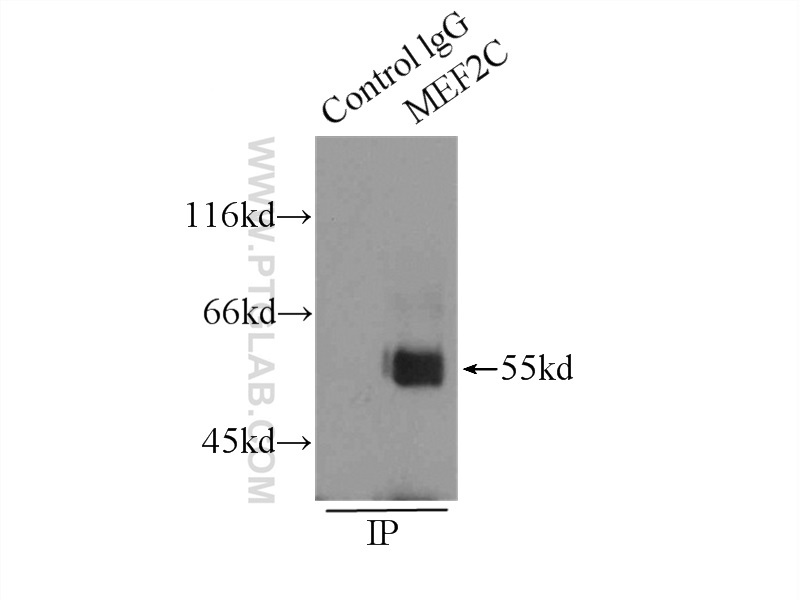 MEF2C exists some isoforms with MV 50-52 kDa, 47 kDa, and 45 kDa, but modified MEF2C is about 55-60 kDa. Novel formononetin-7-sal ester ameliorates pulmonary fibrosis via MEF2c signaling pathway. Protective effects of CXCR3/HO‑1 gene‑modified BMMSCs on damaged intestinal epithelial cells: Role of the p38‑MAPK signaling pathway. iPS programmed without c-MYC yield proficient cardiogenesis for functional heart chimerism. c-MYC independent nuclear reprogramming favors cardiogenic potential of induced pluripotent stem cells. Developmental origin of the neuronal subtypes that comprise the amygdalar fear circuit in the mouse. 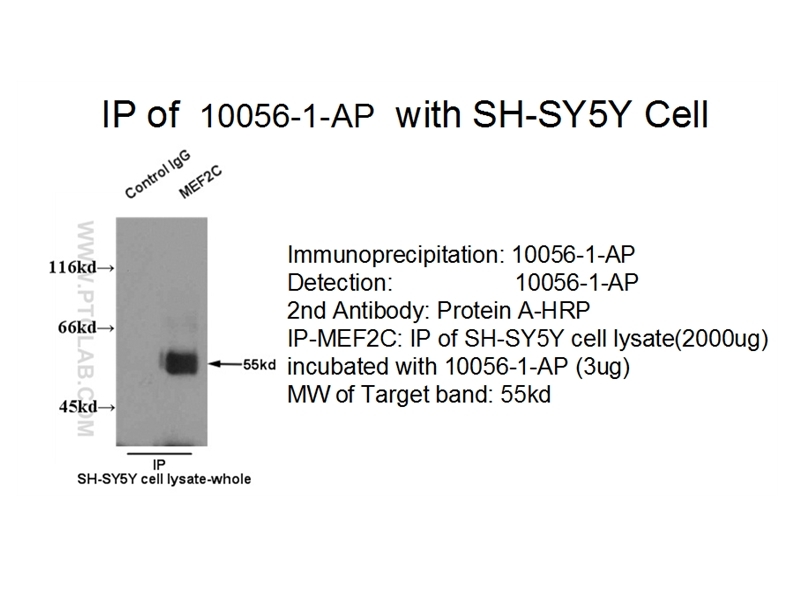 IP result of anti-MEF2C (10056-1-AP for IP and Detection) with SHSY5Y cell.